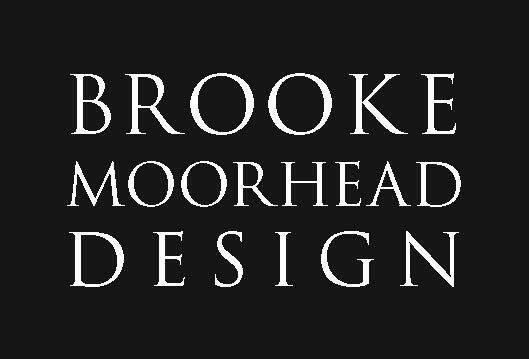 March 2018 marked the 5-year anniversary of Brooke Moorhead Design. While I cannot quite believe how quickly it went, it also feels like a good chunk of time, and certainly a major personal and professional milestone. Many of you know my history. California to NYC transplant, journey from Wachtell, Lipton to Sanford Bernstein and finally to interior design school at New York School of Interior Design. Lifelong influence from mother and grandmother (both designers, artists, shop owners, and live-and-breathe design enthusiasts), and, then, to start my journey as a designer, I worked at my mother’s firm for five years, helping with likely some of the largest projects being done in the country at the time. Above: A day in the life. Quinn helps with rug samples. Above: a new project, still in process. 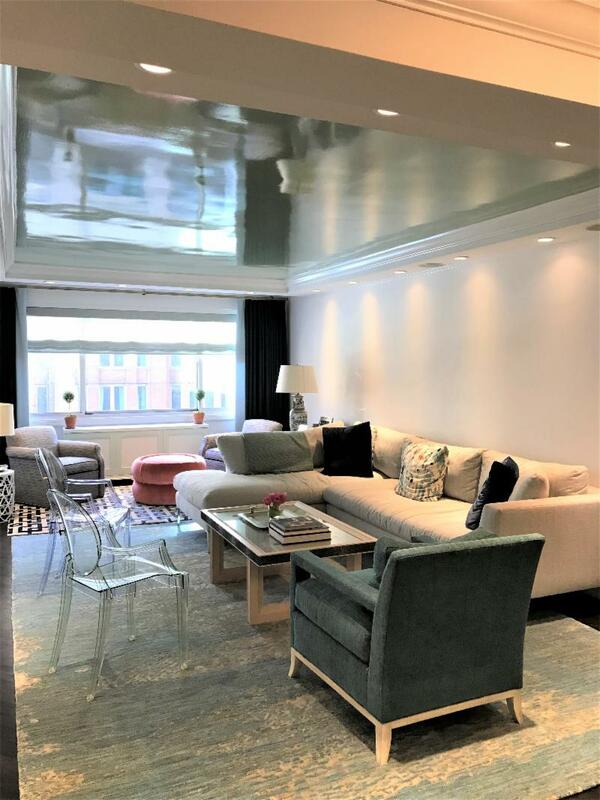 Lacquered ceiling with calm but fun colors give the space tranquility with a twist. 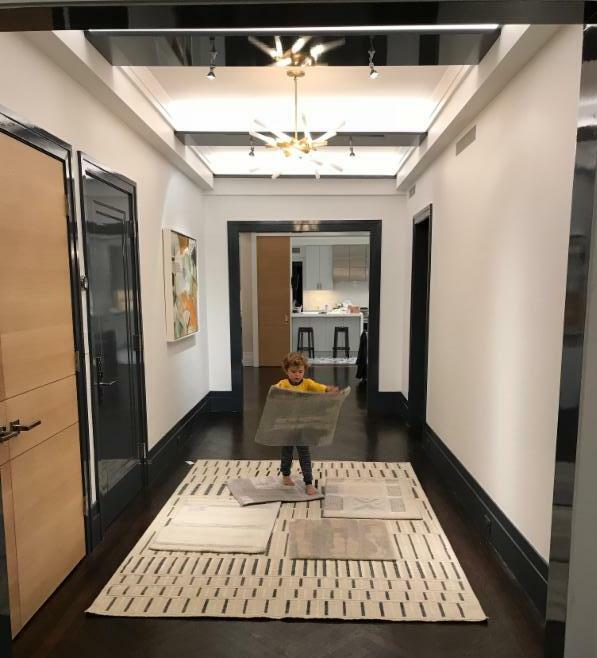 Interior Design is an incredible thing. It's amazing to be able to help people find happiness in their home through aesthetic beauty that they didn't know could exist. 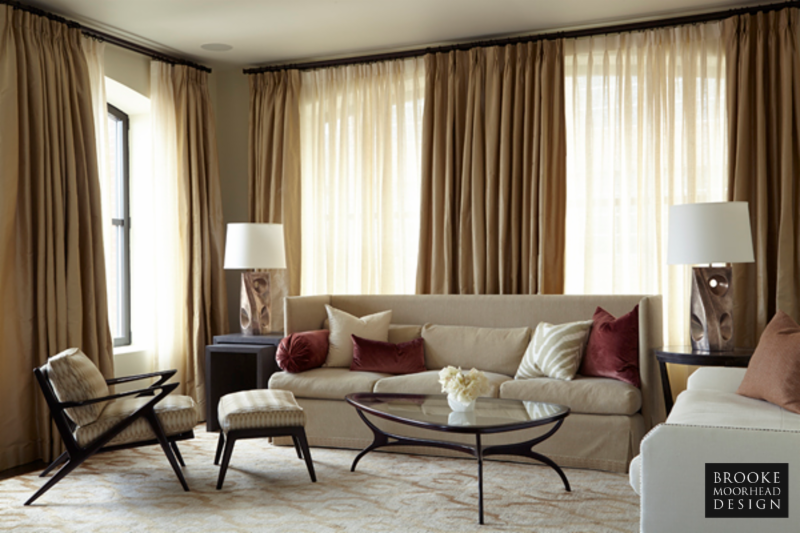 It's amazing to be able to translate a client's desires for a beautiful space into an aesthetic that speaks to their personality. It's amazing to find ways for a space to work that makes life easier and better for those living in it. And it's amazing to watch things be fabricated, constructed, and come into being from nothing during the construction process. completed 14 renovations, done work on the Upper East Side, the Upper West Side, and in Tribeca, Soho, the West Village, Union Square, the Hamptons, Jackson Hole, and Greenwich, CT. My clients and I have worked on at least 60,000 square feet of space together, and touched that much with design changes and redesigns. BMD has designed residential apartments, houses, lobbies, and office space. I've served on the Brick Church Buildings & Grounds Committee helping them in whatever way I can to bring the big renovations taking place there to reality. I've weighed in on countless friend and relative's projects and done two renovations for my own family. I'm so proud to be a part of all of these projects and have been able to touch so many lives. Above: Looking into a future kitchen. 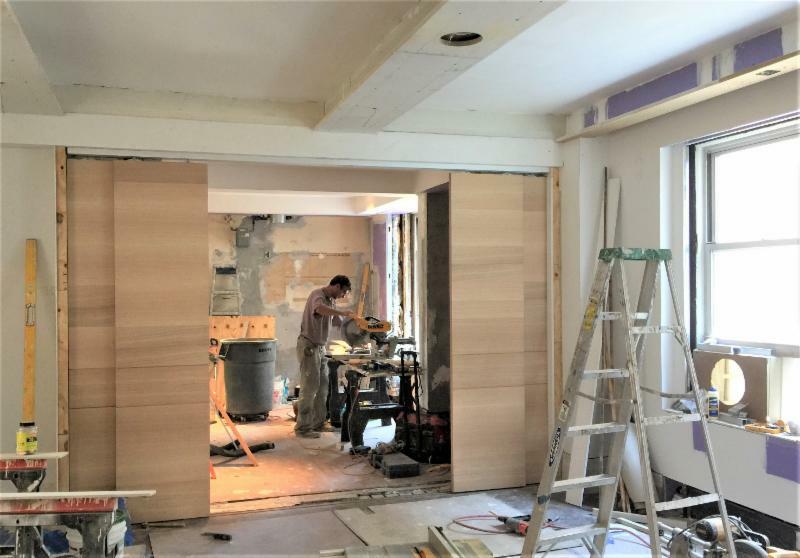 Doors were created to allow an open plan with the possibility of privacy from the kitchen when necessary. I love my work and I love working with all of you. I truly enjoy getting up every day and I get excited at any possibility and design progress, be it in a scheming meeting or on a job site. I am grateful to be able to serve this purpose in life and to contribute something aesthetically to the world. On the eve of the birth of my second son (due May 20), all I can say is that it will be a juggle with many projects still in motion (sorry, but maternity leave is a myth for entrepreneurs... or at least THIS entrepreneur). The good news is, the work is always exciting and fulfilling, so stay tuned for more project updates in the coming months. 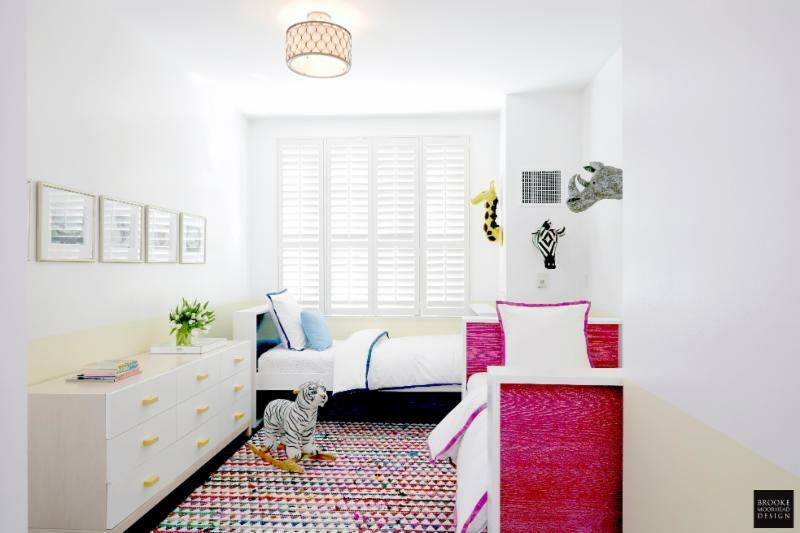 Above: a favorite kids' room published in Domino last year. Photography: Jon Heil . 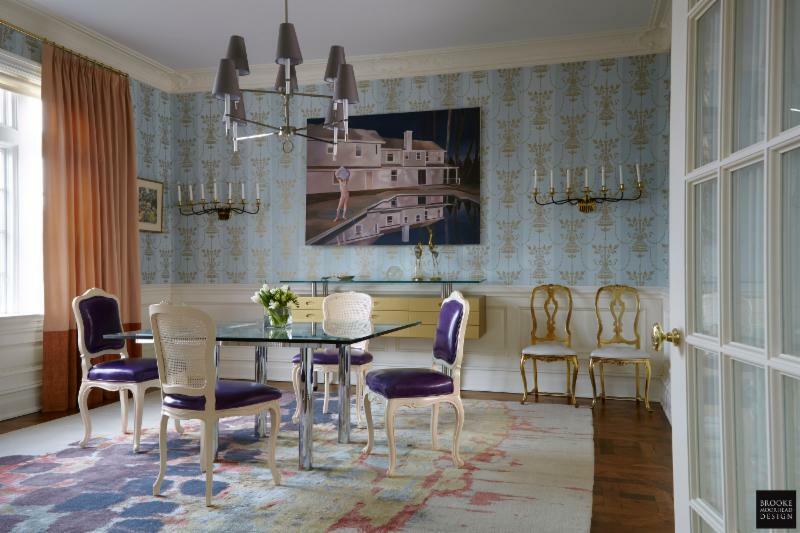 ﻿As always, please reach out with any thoughts, questions, or interior design needs. Just hit reply to this email! I always LOVE to hear from you.